Martin and I have been researching period spectacles, partly to debunk a myth we’ve both heard countless times, that colored lenses were used only as a treatment for venereal disease. We started with an old article in Early American Life and then I started looking for additional period sources which outline the correct style of frames for the period. Here are a few bits we’ve come up with so far. Eyeglasses are a prime example of not taking everything we see at face value when putting together a kit for living history. What may be the earliest work of art in which eyeglasses are depicted is a fresco painted by Tommaso da Modena (1325-1379) which shows Cardinal Hugh of Provence (1200-1263) wearing a pair of rivet spectacles. The Cardinal died before eyeglasses were even invented. During the 17th century an Italian artist painted the Holy Family with Baby Jesus in Mary’s arms holding a pair of nose spectacles, an obvious anachronism, as any visual aids didn’t enter the scene until hundreds of years later. The earliest frames were made of wood, leather, bone, brass, tortoiseshell, baleen, and later steel, silver and gold. Silver ones were available from silversmiths, and gold ones could be purchased from a jeweler. TINTED LENSES were in use by the seventeenth century. It was believed that the color green was relaxing to the eye. My old “friend”, diarist Samuel Pepys, with whom I’ve consulted hundreds of times in researching one thing and another, wrote, in 1660 that he was bothered by irritated eyes and thought that wearing some green lenses would resolve the problem. He did purchase the tinted lenses in 1666 from John Turlington who was Master of the Spectacle Makers Co., but eventually had to stop writing in his diary due to failed vision. More’s the pity, too, because not only did Pepys live an exceedingly interesting life, but he was friends with several other men who were just as intriguing. One can only guess at the valuable information that was lost due to his inability to continue recording his experiences. Sometime prior to 1860 lenses were sold that were blue or smoke-colored. Eyeglasses date from about 1286, made in Pisa, Italy. They were made using two convex crystal stones. Their use was documented in a sermon delivered by Giordano da Rivalto when he stated it was not twenty years since the founding of the art of making eyeglasses. The first were known as rivet spectacles because the lenses were held together with one rivet in the center, they had no ear pieces. “Scissor” frames [ca. 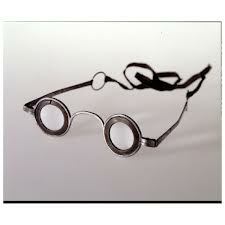 1780] were two lenses attached to a handle of sorts by which the wearer could hold them up to the eyes. The first illustration of spectacles in a printed work is thought to date from 1475. Concave lenses used to correct nearsighted vision were created in the 15th century. At varying times during the Medieval era, makers guilds formed in different parts of Europe to impose regulations and protect the glassmaker trade. Side arms were developed, probably between 1714 and 1727 – at least London optician Edward Scarlett, Sr. is believed to be the first to advertise them during that period. Round lenses were almost universally worn until the end of the 18th century when first oval and then octagonal lenses became fashionable in the early 19th century. Square lenses were also made in the 19th century. Lenses were not custom made for the wearer’s vision difficulties, instead one simply tried on one pair after another from a peddler and the purchaser took the pair that best suited their needs. 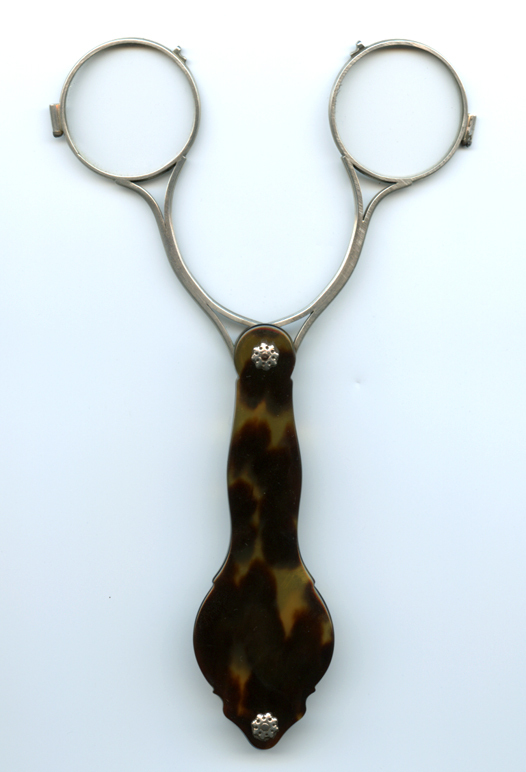 Susannah Wright, owner of the Wright Mansion in Pennsylvania, wrote that she owned three pairs of spectacles. We were intrigued with that statement as it seemed extravagant even given her above average social and financial status. We plan to do more research, but we feel she probably had a pair for up-close vision (reading, fine needle work), a pair for regular distances, and possibly a pair more for outdoor wear with colored lenses. In 1756, Benjamin Martin created something called Visual Glasses which had a horn annulus on the inside of the frame to reduce the amount of light entering the eye. They were often referred to as Martin’s Margins. Ben Franklin devised bifocals in 1760. John Issac Hawkins patented the trifocal in London in 1827. Sir George Airy (1801-1892) was the first to design concave astigmatic lenses for his own use in 1825. In 1828, the McAllisters started importing lenses for astigmatism. John McAllister, Sr. (1753-1830) came to the U.S. from Glasgow, Scotland in 1775 and after somewhat unsuccessfully trying to sell walking sticks and riding whips opened the first optical shop in America in Philadelphia. 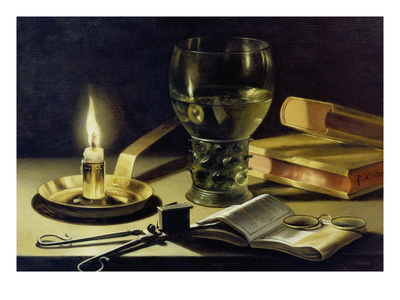 He imported his lenses from Europe, and started making his own gold and silver frames in 1815. At first glasses came into the U.S. with immigrants already wearing them, having purchased them in Europe, McAllister opened trade for opticians to begin selling them in the U.S., but they still used lenses shipped from Europe. It wasn’t until 1883 that American Optical produced the first ophthalmic lenses in the U.S. In 1833, William Beecher made coin silver spectacles in Southbridge, MA as a sideline of his jewelry business. His business passed through several owners, eventually evolving into the American Optical Co. in 1869. The finer quality frames were often stamped with a maker’s mark and when these come up for sale they fetch a handsome price, fortunately, those of us who seek historical knowledge without spending a fortune to view originals can benefit from images posted on collectors’ websites. http://www.antiquespectacles.com is amazing in the amount of information contained within that website. It includes a timeline, photos of spectacles from various time periods, photos of spectacles in collections that belonged to well-known individuals, and much more. I’ve spent hours reading this website. The author’s research was relied upon heavily for the article published in Early American Life, August 2005 issue. Ocular Heritage Society – this website has numerous photos, advertisements, and information for collectors. Don’t miss their gallery page.